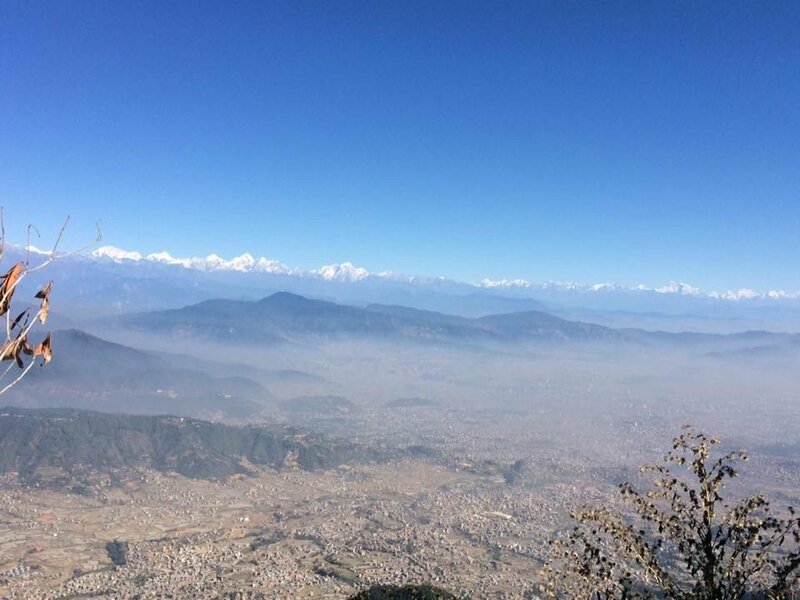 Chandragiri Hill, lies on the South-West of Kathmandu Valley and is 2410m from sea level. 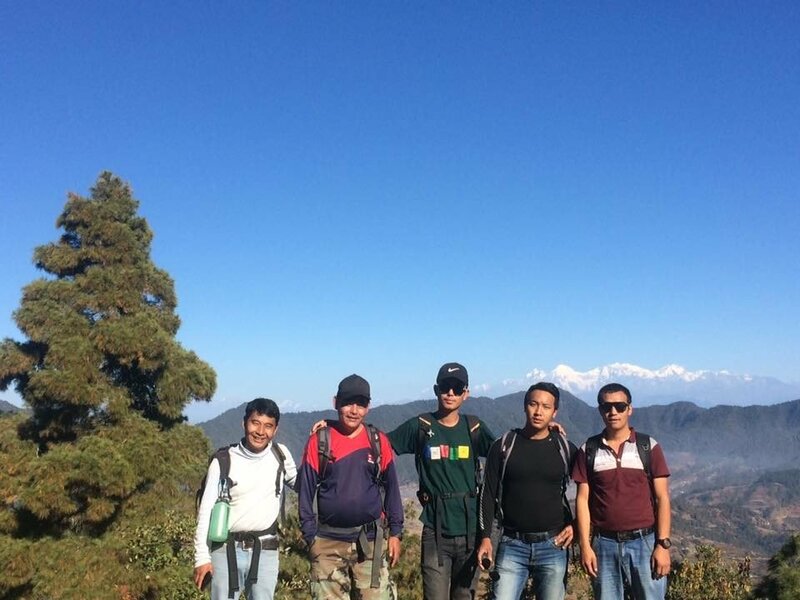 Soaring peaks and breath taking views of whole Kathmandu Valley covered with lush green blanket of flora makes Chandragiri truly a great bountiful and pristine landscape. 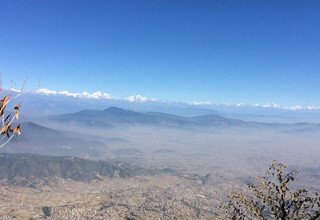 The panoramic views of Kathmandu Valley & Himalayan ranges from Annapurna to Everest makes any one feel like seeing whole Nepal from this hill. Another village of Chitlang, there is lots of evidences, which show that there was civilized society in ancient centuries. Many temples with amazing wood and stone carving, artistic rest houses, stone taps, available inscription of centuries long are the proof of those civilized society. This village is surrounded by beautiful green forest, which consists of more than 160 species of birds and animal. 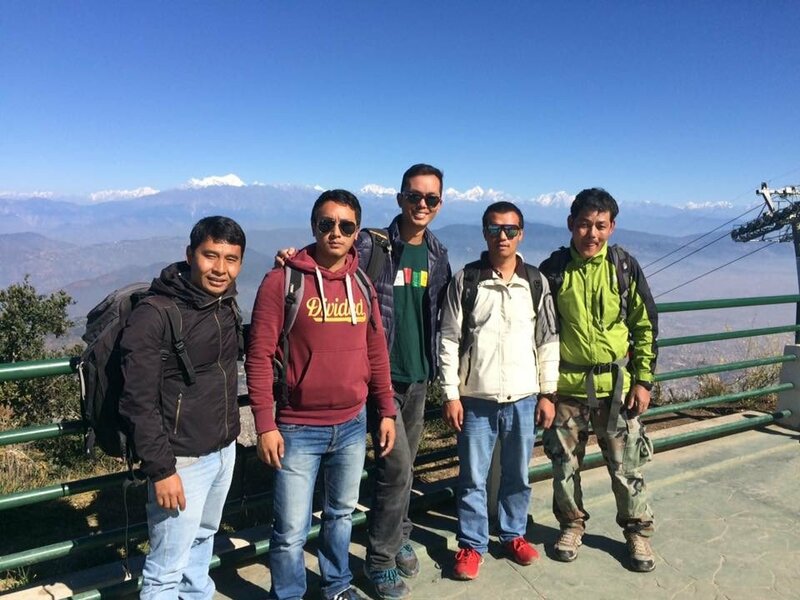 The large green fields are added attraction of Chitlang. It offers an amazing experience with the combination of natural beauty and cultural heritage. Famous as the gate way of motor cars carried on the back of people. 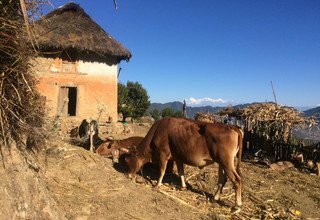 Chitlang offers visitors with an opportunity of village home stay where you can interact and get insight of the rural life in Nepal. 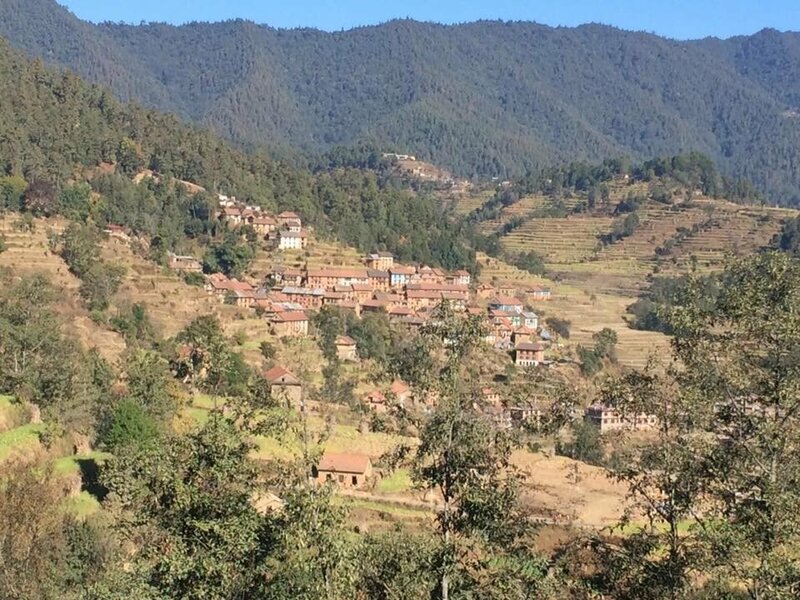 The hills of Chitlang offer one of the best hiking/trekking around Kathmandu. Camping and cycling here provides you an opportunity of getting closer to the un-disrupted ecology in the locality. 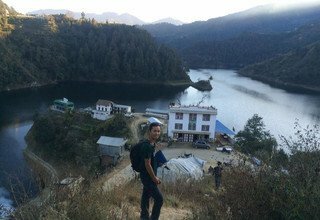 The largest manmade lake of Nepal, Kulekhani (also known as Indrasarovar) is a short walk of 40 minutes from Chitlang. 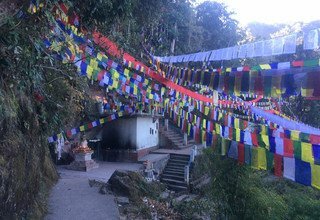 Daman, Perched 2322m above sea level, with clear views to the north, east and west, Daman boasts what is arguably the most spectacular outlook on the Himalaya in the whole of Nepal. 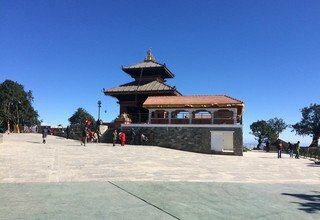 There are unimpeded views of the entire range from Dhaulagiri to Mt Everest from the concrete viewing tower. Daman has among the greatest views of the Himalayas, extending on a good day from Dhaulagiri in the west to Mount Everest in the east. The village also contains the Everest Panorama Resort, which includes a helipad. 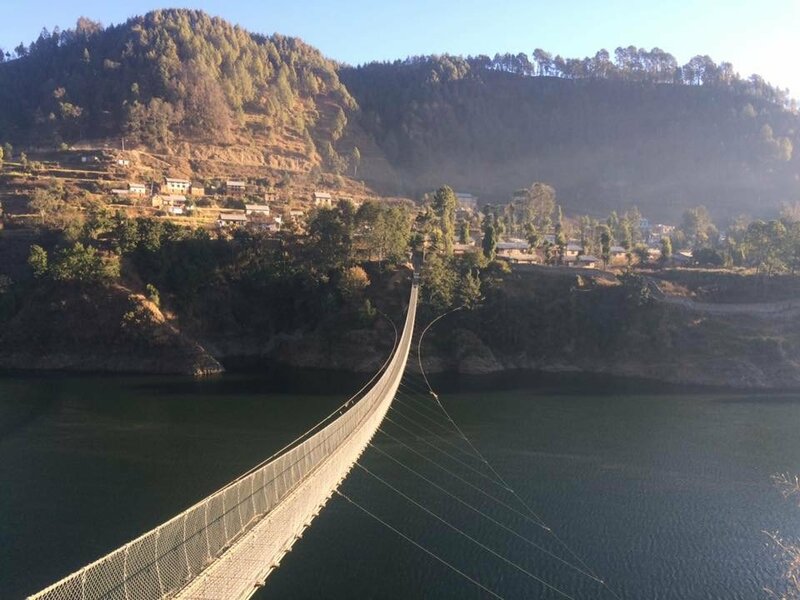 Since the village lies on the outskirts of Kathmandu, it provides a great opportunity for the people residing in Kathmandu to observe its beauty and use it for means of recreation. Also, during winter, snowfall occurs in the hills, augmenting the beauty of the village. There is religious site near called Risheshor. The main festival occurs in Fagu purne. There is a Botanical garden in Daman. Different varieties of Rhododendron are available here. Nevertheless, once you sight Tistung, chances are you will forget the travails gone by, for it is surely a sight for sore eyes. The gently sloping hills and the verdant fields are soothing to the senses while the traditionally designed houses impart a feeling of harmony to the mind. Added to this, the valley has pleasant weather all-year-round. There are other attributes too that makes Tistung an interesting place to visit. 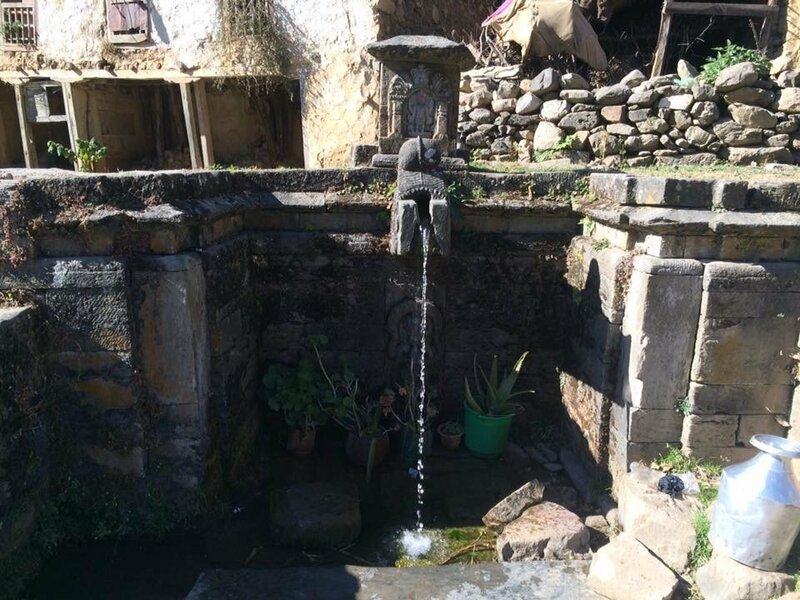 The village has nine wards, of which three are populated mostly by members of a clan called the Gopalis who can also be found in the nearby villages of Makwanpur District, particularly in the villages of Bajrabarahi, Chitlang and Palung. Now, there’s something unique about this clan. There are many who believe that the Gopalis were the earliest rulers of Nepal (that is, of Kathmandu Valley and its nearby areas). In fact, there are some who believe that the name ‘Nepal’ could have originated from ‘Nep’, the earlier name of the Gopali clan. Whatever the case may be the name ‘Gopali’ itself originated from ‘Gopal’, one of the names of Lord Krishna, who was a cowherd. Aptly enough, almost all Gopali families of the village keep livestock tethered to their homes. Certainly, Tistung’s inhabitants have an interesting heritage, and this further add to Tistung’s charms. 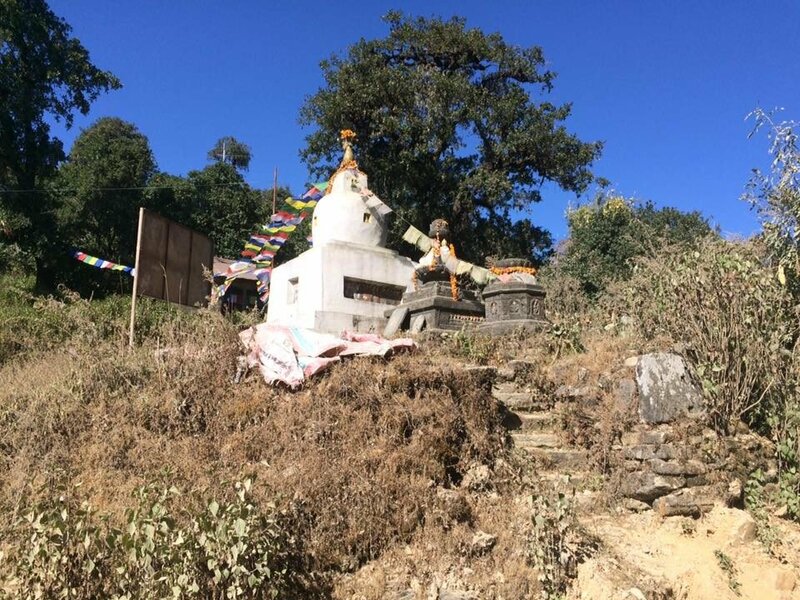 Tistung, as such, merits a visit, not only to revel in the splendid landscape and observe the tranquil lifestyle of a Nepali village, but also to feel the exhilaration of driving/biking around hairpin bends on a steeply climbing mountain road that itself has a distinguished past. Arrival in Kathmandu and you will be met at the airport by our representative who will be waiting with a Swiss Family Treks sign outside the terminal and transfer to Hotel by private car. Welcome drink and after you settle into the hotel there will be a group briefing with your tour leader. He will discuss the trek details and co-ordinate any last minute arrangements. Stay overnight at Hotel. 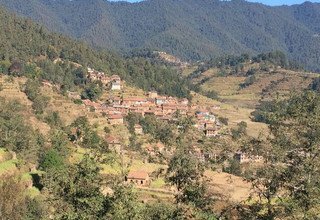 After breakfast, we drive 15 km southwest of Kathmandu for Cable Car Station, Thankot about an hour driving by private car. Then after immediately we will catch Cable Car to reach in Chandragiri Hill 2410 metres from sea level. It's just 12 minutes ride on Cable car, once you are in Chandragiri Hill, you will feel unforgettable experience of adventure in Nepal with panoramic views of soaring Himalayan ranges from Annapurna to Everest and breath taking views of pristine landscape Kathmandu Valley covered with lush green blanket of flora. In the Chandragiri Hill, there is situated popular Hindu temple which is called Bhaleshor Mahadev. where a lot of pilgrimages worshipping. According to the myth and legendary, Lord Shiva was traveling through Chandragiri and felt thirsty but could not find any water. He used his trident to take water from the hill but it came bloods out. There are no water source in hill. 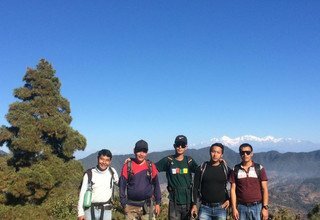 After spending sometime to visit temple and enjoy with views, we descend down hill towards Chitlang avoiding bumpy road and follow trekking trail through the dense forest of rhododendron reaching in Chitlang which takes about 3 hours. There are lots of evidences, which shows that there was civilized society in ancient centuries. 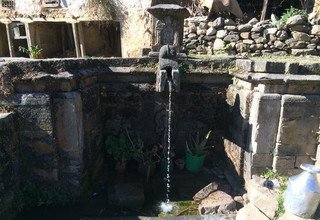 We still can see the many temples with amazing wood and stone carving, artistic rest houses, stone water taps inside the village. Chitlang offers visitors with an opportunity of village home stay where you can interact and get insight of the rural life in Nepal. 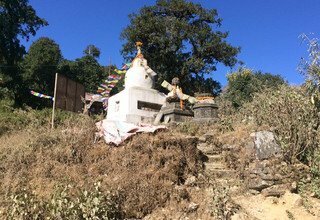 Historical places like Pauwa, Saat Dhara (seven water taps), Shiwalaya, and some other archeological Monuments gives you more pleasure during the staying in Chitlang. Stay overnight in Homestay/Lodge/Organic Resort. 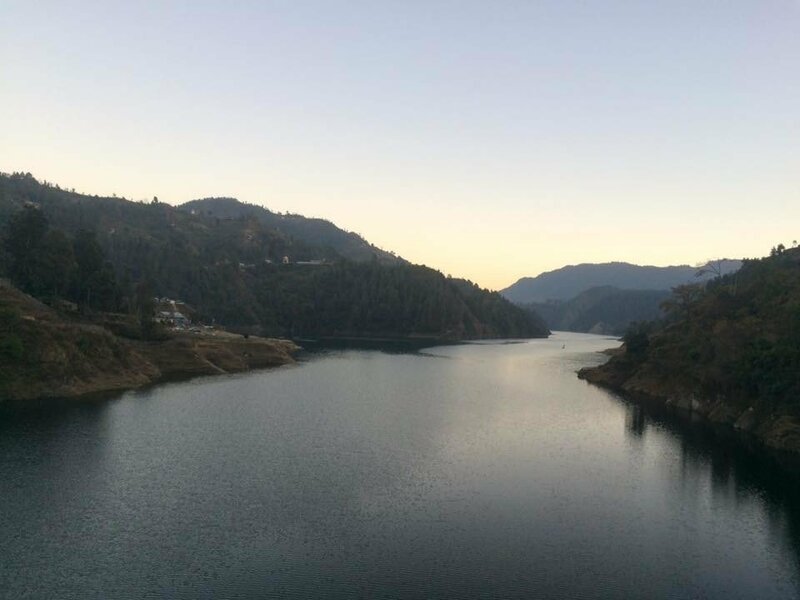 After having breakfast, we will follow bumpy road through the village for one and half hour and an hour walking trail through the pine forest viewing Kulekhani Dam until reaching Markhu village where Kulekhani Dam (also known as Indrasarovar). 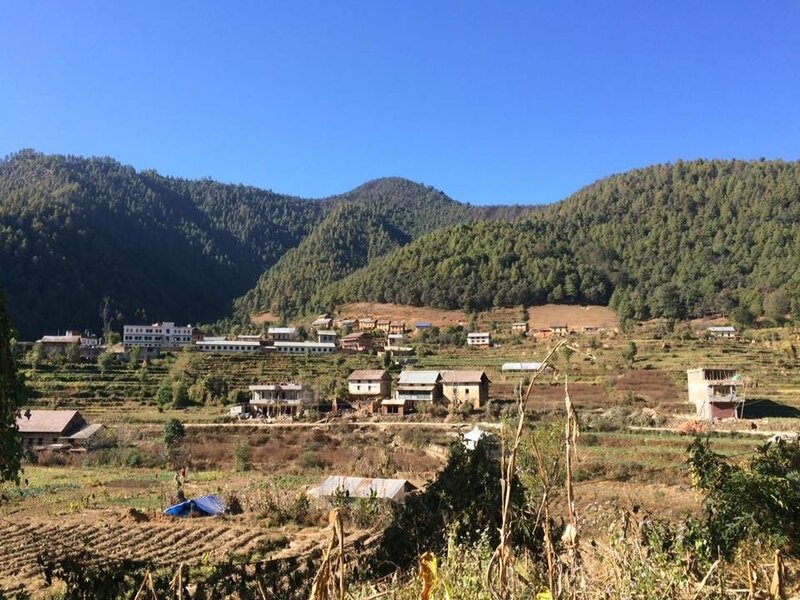 Today during the walk you will pass agricultural terraced field, Seven Tap, old chitlang village known as Majh Gaun and views of surrounding green hills. Meeting with local people, their daily life and culture makes your trip more enjoyable. And the traditional method of farming could be extra experience to you. After lunch you could visit beautiful Markhu village and another opportunity of doing boating in the Indrasarobar lake. 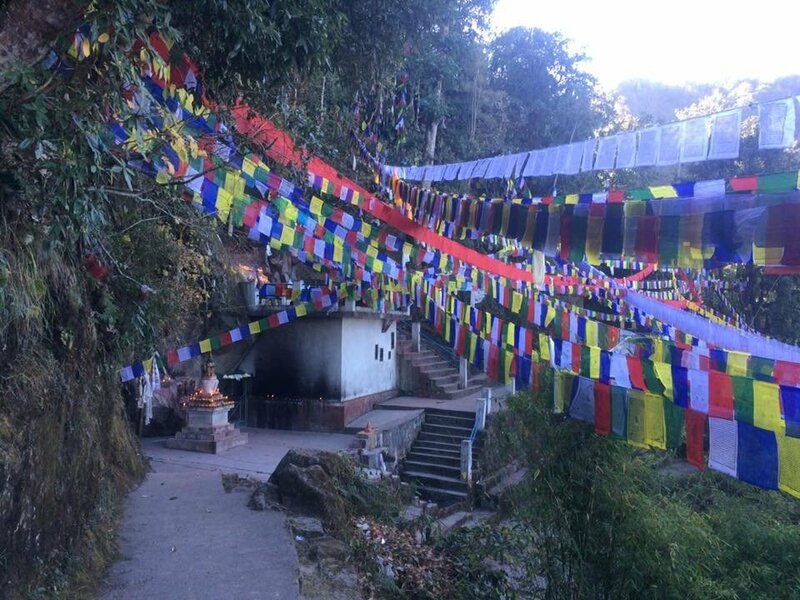 Markhu village is combination of mixed culture and people such as Tamang, Newars and Brahmin. Overnight at Lodge. 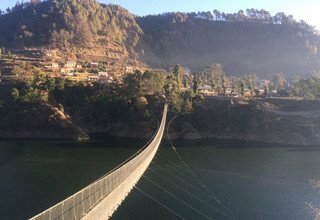 Today after breakfast, we leave village and cross long suspension bridge over Kulekhani Dam. After walk in the lake bank for a while then we climb up until another small village on the top hills. It takes something like 2 and half hour. During the climbing up hill you will get the chances to see high snowy mountains, beautiful villages, amazing landscape. That makes our trip more excited. Then we walk on the dirt road on the hills until reaching Daman which is taking one hour. 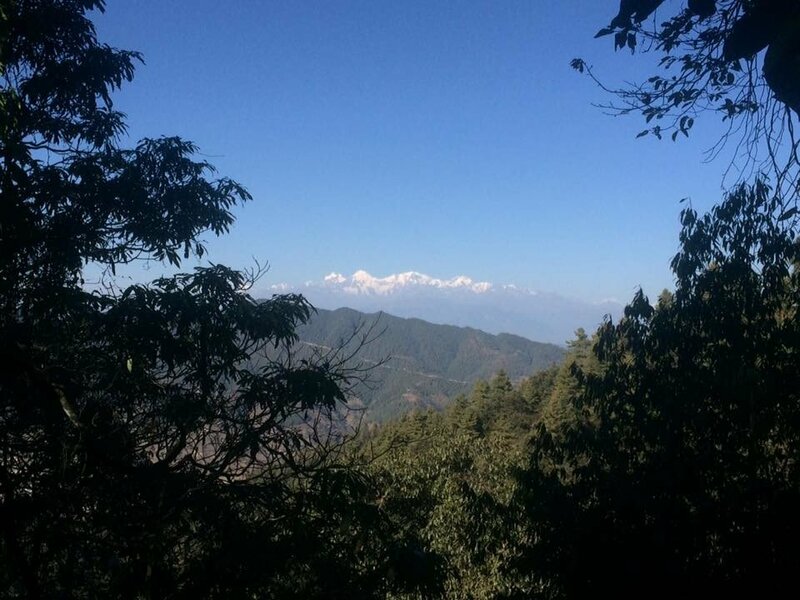 Once you are in Daman, you have the stunning views high snowy mountains from east to west including Dhaulagiri, Annapurna, Manaslu, Ganesh Himal, Gangchhembu, Langtang Lirung, Dorje Lakpa, Jugal himal, Gaurisankar and Everest as well as beautiful Tistung-Palung valley. 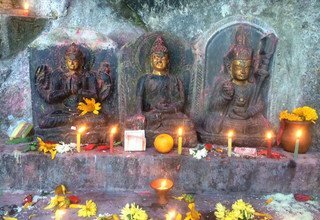 There is religious site near the Daman called Risheshor, related to Buddhism and also known as Guru Rempochhe (Padma Sambhawa) was meditated on 8th Century. Many Buddhist people are visiting whole time of the year. Stay overnight at Everest Panorama Resort. 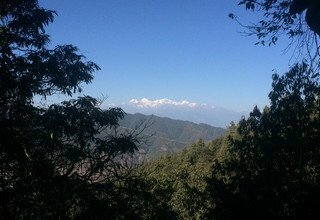 After absorbing the stunning sun rise views over himalaya, we start to descent to the Okharbajar walking through the Rhododendron forest avoiding motor-able road. After walking one and half hour, we will be in Okharbajar (1685m), this is one of the trade point for nearby villages. From okharbajar we again follow old trail following farming fields. After walking two and half hour up and down we will be in beautiful village of Tistung. 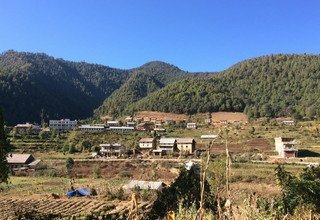 Tistung village is in middle of the green forest and massif terraces. Then we walk further up to Bajrabarahi where we stay overnight in nice Hotel. * 2 nights accommodation in twin bed sharing basis with breakfast at 3 star hotel in Kathmandu.